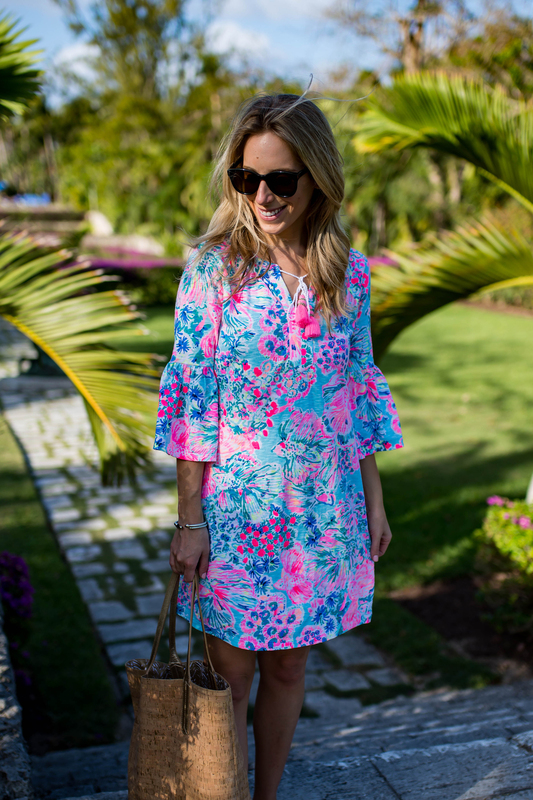 There’s no outfit post I like more than one where I’m wearing my beloved Lilly Pulitzer. As summer slowly but surely creeps closer, I thought it would be fun to take a peek back at some of my favorite Lilly looks from the last few months. As expected the spring collection was full of bright whimsical prints, a few crop top & skirt sets (yes!!!) along with some traditional and not-so-traditionally cut shift dresses. Based on all that I’ve heard from you guys, it seems like you love Lilly Pulitzer as much as me so I’m feeling extra excited for the summer collection to begin hitting stores. I recently got my hands on the lookbook and it’s AMAZING. Last thing! Lilly has some great gifts for Mother’s Day! Until 12PM EST today you can get free 2-day shipping when you enter 4MOM at checkout. Nothing says “Hey mom I really love you!” like some brand new Lilly right? Whatcha waiting for? Go go go! These are all such a cute, vibrant and summertime perfect looks! I like them a lot! Is the crop top super short? Would it be wedding appropriate? No not at all! Everyone thinks that it’s actually a dress. It would be perfect for a summer or tropical destination wedding! Great dresses! My fave is probably the short pink one! All of these Lilly outfits are so amazing!